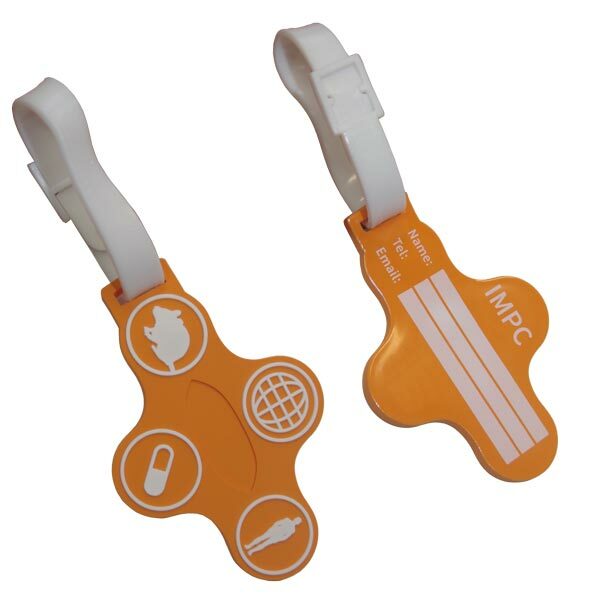 Custom luggage tags are a hugely popular promotional gift for travel companies, other travel/tourism industry players and even for companies or clubs/organisations with staff who travel all over the world. 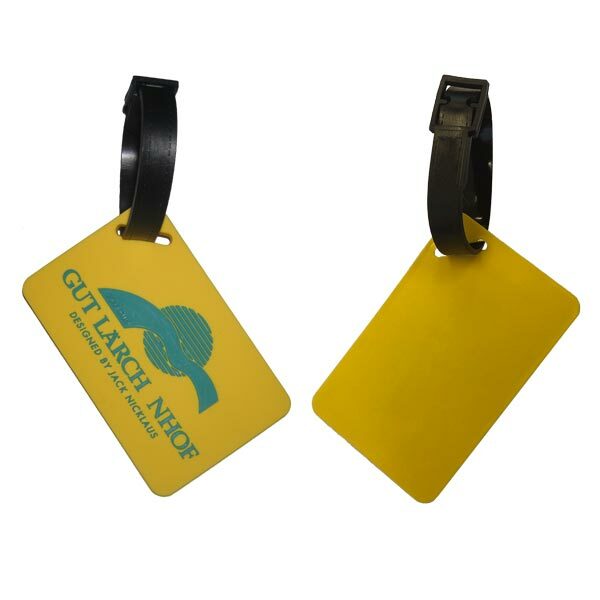 Luggage tags (and their close, younger cousin, the bag tag – see below for a comparison) are moulded using soft, flexible PVC so can be produced in almost any shape you like. The soft but durable rubber is the perfect material for these promotional products – it can stand the rigours of baggage handlers (or chuckers as they are sometimes known…) but will not scratch or mark luggage and will ease baggage confusion in the collection hall scrum, helping your suitcases to stand out from the crowd! Your logo or design can be produced in up to 5 spot colours (more colours are possible at a small additional cost per colour) and can be embossed. Colours can be Pantone-matched to your corporate colours too. Thanks to the moulding process, your logo can be embossed (raised up from the surface) with a flat (2D) or a rounded/contoured (3D) profile. Ok so the difference between luggage tags and bag tag is that luggage tags are designed to accommodate a printed insert card with your name and address, whereas a bag tag is just the front-facing part of the tag. As an optional extra, you can even enhance your bag tag with some screen-printed “fields” for you to write an address. At Rubber Brand we have been supplying fun, funky and colourful moulded PVC promotional products since 2009! 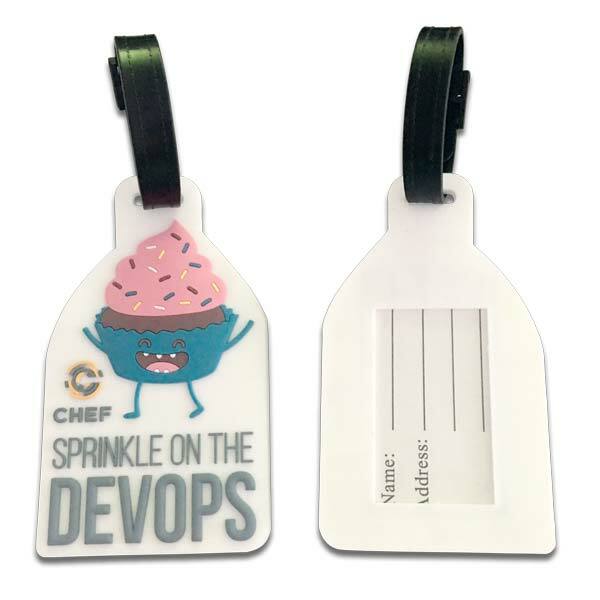 Choose from a wonderful selection of keyrings, coasters, luggage tags, custom product labels, fridge magnets, printed snap bands and much more. Drop by and say hi to us at RubberBrand.co.uk. Previous Post:What on Earth is a Brandow Mat? Next Post:Tartan Lanyards? In Stock? Oh Well Plaid!